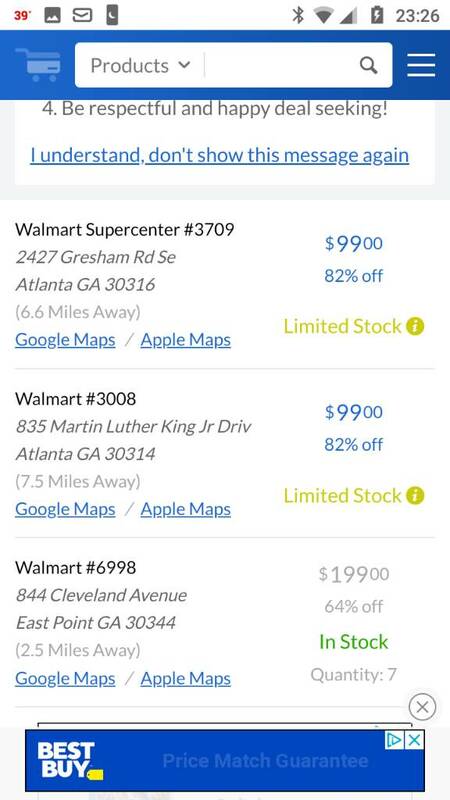 Thread: Local Walmart had Straight Talk iPhone 6s for $97. Can it work with Tracfone/VZW SIM? price of $97. There were only 2 left. SIM swap for sure will work. Probably they will rebrand it for direct activation as well. I know they will for the SE. Last edited by ST Dog; 03-31-2019 at 07:57 PM. Wow. $97 for a ST 6S is a really good deal! What color did you get? I just checked Brickseek, and the gray ST 6S is still $149.99 at all Walmarts anywhere near me. Checked a few zips from biggest cities somewhat near me. All of my local Walmarts are still at $199 right now. too bad rose gold wasn't available in my store... but then again, for $97, I don't care what color it is. The only thing I'm worried about now is VoLTE, hope Tracfone does some kind of mass turn on soon as of now it still won't do VoLTE. I'll keep checking for a price drop on the ST iPhone 6S and I'll keep my fingers crossed. I had been watching some 5000mAh power banks that had dropped to $5 at Walmart. I checked in the morning before I went to Walmart and they were still $5. I got to the Walmart and was having a hard time finding them, so I checked Brickseek again, and they had dropped to $2.50! So I kept looking, and finally found the 3 that Brickseek showed in stock. $2.50 seems to be the current price if they have any remaining in stock. Yeah. $7.50 ($2.50x3) for three 5000mAh power banks was a great deal and I was happy to get them at that price! Straight talk iPhone SE, which network is it intended for? 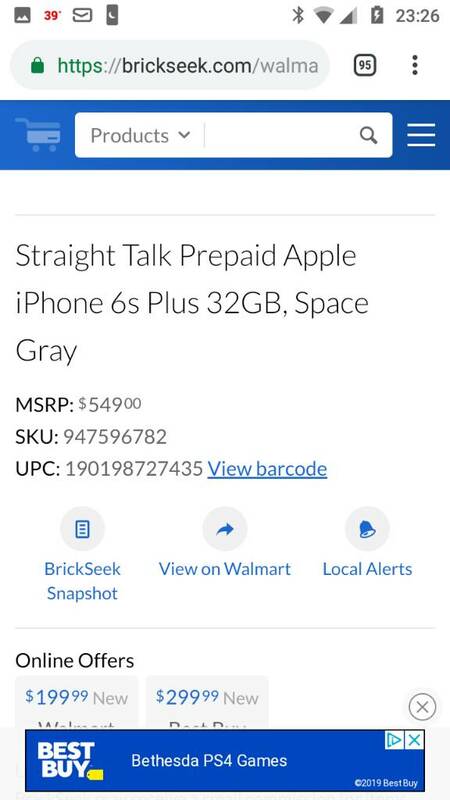 Walmart's Straight Talk iPhones Unlocked or Not? Straight Talk iPhone 5 for Erie PA, CDMA or GSM?